When starting a romantic relationship, it’s natural to ask your partner’s age, graduation year, how many kids they have, etc. You might say we are a society obsessed with numbers. It should come as no shock that some of us might be interested in another number then, too–their personal credit score. Yet some couples seem hesitant to discuss their finances. What do credit scores say about your relationship odds? A lot, actually. Credit scores can expose an individual’s level of commitment, dependability, and trustworthiness, according to a study by the Federal Reserve. All of which are widely recognized traits important for long-term relationship health. What’s more, people with the highest credit scores are most likely to form long-term, committed relationships, as opposed to someone with a poor credit score. Whether you and your partner’s credit scores are well-matched could even indicate if you will make it–or break it–as a couple. Whether this is because your score often correlates with your level of commitment or different factors remains to be seen. But the Reserve did find that the greater discrepancy between a couple’s credit scores, the more likely they are to split within the first five years of their union. “This result arises, in part, because initial credit scores and match quality predict subsequent credit usage and financial distress, which in turn are correlated with relationship dissolution. Credit scores and match quality appear predictive of subsequent separations even beyond these credit channels, suggesting that credit scores reveal an individual’s relationship skill and level of commitment,” the study continues. Money matters certainly aren’t romantic, but money matters do matter. Considering the fact that low credit scores can deny one access to a mortgage and surge the costs of installment loans by thousands of dollars, it should come as no surprise. In fact, an overwhelming majority rated financial suitability as an important factor in choosing a spouse, according to a survey by Experian. In other words, a Trump supporter and a Hillary supporter who both have good credit and financial beliefs are more likely to make it than people who share the same political party but are financially incompatible. Does this mean my incompatible credit score union is doomed? Not necessarily. Whatever your respective credit situation, your credit score is something you can work on together if you put in the effort. Partners who are mismatched in credit will have to discuss those differences and set up stepping stones to get over the hump. In fact, according to the Federal Reserve study, over time many partners’ credit scores will converge, as they start to share more accounts and spending habits. Over the first four years of the relationship, the credit score gap often narrows from about 55 points to about 22 points. “The convergence is mostly driven by an increase in the credit score of the lower score partner measured at the time of relationship formation. Interestingly, it is not rare for the within-couple ranking of credit scores to switch over time. After the first four years, over one-third of the couples see a reversal in the score ranking,” the study states. So if you and your partner’s credit scores aren’t aligned right now, don’t worry. There are things you can do to change that. Commit to building better credit–together. The first step towards making a positive financial change with your partner is to talk about it. Communicate with each other and commit to working together to make a positive change. Then follow through on that commitment. This might include setting limits on purchases over a certain dollar amount or making larger monthly payments on credit cards with high balances. Try to set goals together for paying down your debt, saving money, and building credit. Next, try boosting your score by finding responsible ways to build credit. For example, through using a secured card or credit card responsibly, and within a budget that fits your income and keeps your credit utilization ratio low. Another option is to start a credit builder account. Similar to a secured card, a credit builder loan collects a deposit and gives you a line of credit equal to your deposit. The deposit goes into a savings account you don’t gain access to until the loan matures. As long as you pay the terms as agreed, the lender will send a favorable report to the credit bureaus. Basically, credit builder loans help you build credit by building payment history, which accounts for 35% of your overall credit score. Whatever positive financial changes look like for you, the important thing is to hold each other accountable. After all, if you decide to take the plunge and get married, your finances could impact your future in a big way. There’s still a widespread misconception that you inherit your spouse’s credit once you get married. 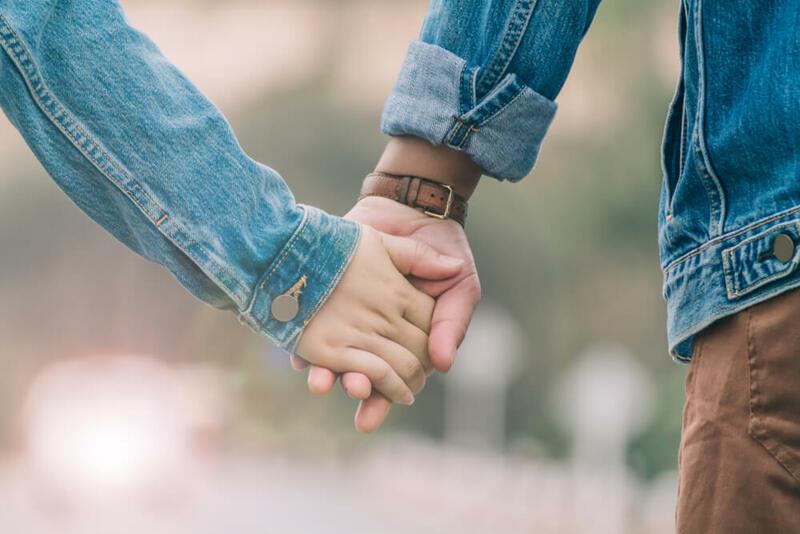 While your partner’s credit can impact your access to new lines of credit, including interest rates, you don’t adopt their credit scoring upon tying the knot. However, if your partner has a low credit score, this could impact what mortgage rate you qualify for, or whether you even qualify at all. And over time, bad credit could cost you thousands of dollars per year in interest alone. Factors like these can cause tension in relationships when someone’s less-than-stellar credit impacts the other’s chance at a dream house, for instance. How soon do I bring up finances in a relationship? Say a man walks into a bar and spots a beautiful woman. They exchange flirtatious glances for an hour or so, until the man gathers the courage to approach her and strike up a conversation. Okay, so maybe the initial flirtation is too early to ask someone’s credit score, but many people are waiting too long to ask. One Self Lender survey found that 65% of millennials agree that talking about finances is necessary for a successful, long-term relationship. Yet over half wait to talk about joint accounts until they’re married. So just when should you have “the talk” about finances? 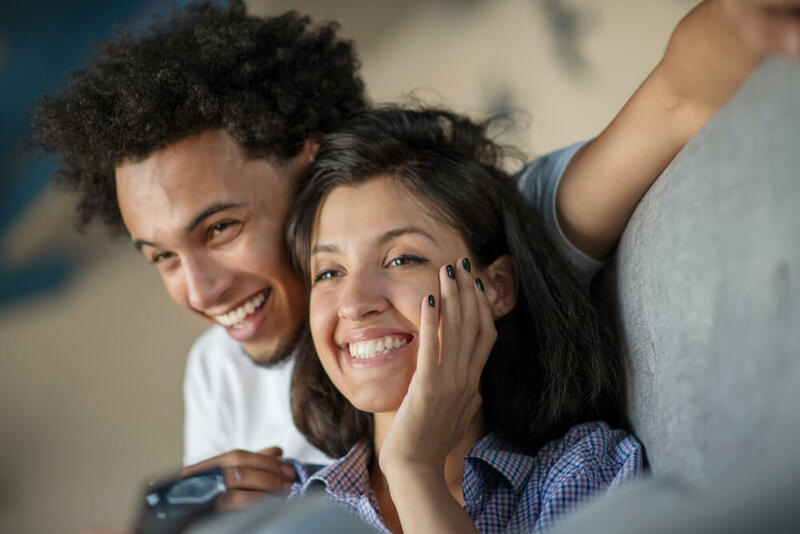 If you’re thinking about moving in together, popping the question, or making a large, joint purchase, it’s time to have the talk about credit scores. With Valentine’s Day creeping up, it’s important to focus on your financial intimacy as a couple too. Sounds cozy, right? Whether you’re planning a romantic weekend or settling down to buy a house, your partner’s income, savings, and debt can affect the choices you get to make in life. Ashley Sava is a journalist and freelance writer. How do Late Payments Affect Credit?